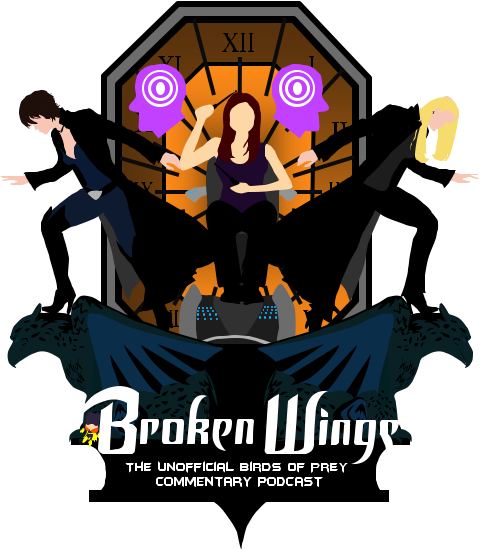 Broken Wings is home to all podcast commentaries, behind the scenes information, and news about TheWB’s 2002 series, Birds of Prey. When a show you, and many others, love is cancelled after 13 episodes, there generally isn’t much information out there for you to hear about the trials, tribulations, and joys of putting the show together. This podcast hopes to change all that by bringing those stories to light for true Batfans, New Gothamites, and Boppers alike. It sounds strange to say that 13 episodes of television once changed my life, but that doesn’t mean it isn’t true. I was in middle school in 2002, when Birds of Prey first premiered on TheWB, and I treated it like the second-coming of television. I’ll never forget the first time I watched the pilot episode, but I have forgotten the excuse I gave my mother so that I could stay home the next day and watch it another three times. A lifelong Bat-fan, I knew that Birds of Prey was unique as it was the first time Batman’s world had been seen on weekly television since the Bill Dozier series of the ’60’s. I looked forward to tuning in week after week, season after season, and watching this strange new world of New Gotham grow exponentially over that time. Unfortunately, this sentiment was not shared by many, and Birds of Prey soon ended it’s run around Valentine’s Day of 2003. Though a fan of Smallville, which premiered a season before, Birds of Prey was the first show to grab the fan in me. I instantly started participating in online chats for the show, reading the source material comics (which opened up many more doors into the DCU), building action figures of the characters and display sets for them to call home. A graduate of Emerson College with a BA in Writing for Film and Television, it brings me no shame to say that the first script I ever wrote was Birds of Prey fan fiction. My interactions with the series have always led to creative endeavors, with this site being no exception.